Joseph Church is a conductor, composer, arranger, pianist, and teacher of music. His career has been as varied as it has exciting, working with some of music and the theater’s most remarkable talents, meeting and collaborating with musicians, performers, directors, and technicians around the world, and guiding some of the entertainment world’s most promising talent. Mr. Church is actively involved in promoting live music performance and perpetuating music as an essential part of our education and culture. Joseph is perhaps best known for his work as music director and supervisor of two groundbreaking Broadway musicals, The Lion King and The Who’s Tommy. As well as originating the Broadway versions of those shows, he mounted productions of The Lion King in London, Toronto, Tokyo, Osaka, and Los Angeles, and Tommy on its US national tour and in London, Frankfurt, and Toronto. Joseph was also music director and conductor for the Grammy-winning cast albums of both shows (the latter produced by legendary Beatles producer George Martin). More recently on Broadway, he was the associate conductor of In The Heights and assistant conductor at Sister Act. 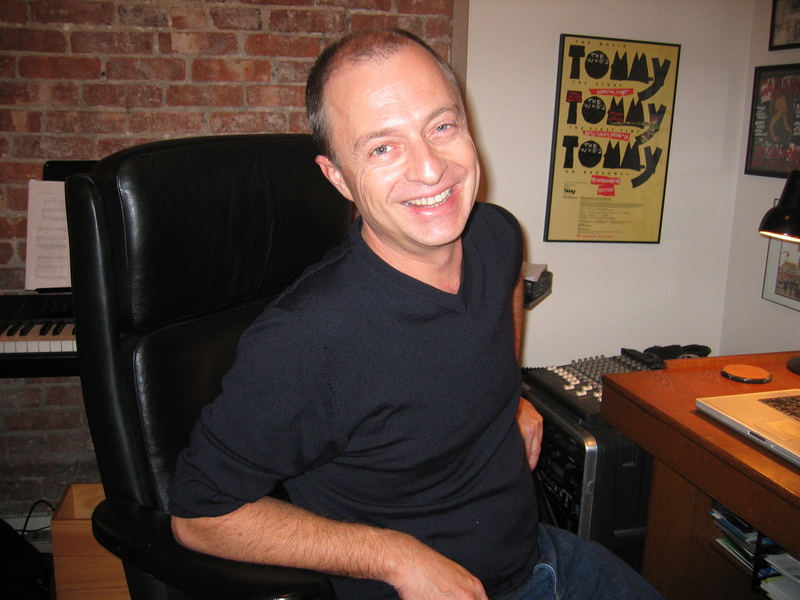 Other highlights of Joseph’s work as music director and conductor for the stage include Randy Newman’s Faust at the Goodman Theatre in Chicago and the La Jolla Playhouse, the original Off-Broadway, National, and Boston companies of Little Shop Of Horrors, Barry Mann and Cynthia Weil’s Mask at the Pasadena Playhouse, music supervision and orchestrations for The 60s Project at Goodspeed musicals, directed by Richard Maltby, and two seasons as music director at Radio City Music Hall. Currently, Joseph is music director and arranger for the Broadway-bound Amazing Grace, opening at Chicago’s Bank Of America Theater this fall, as well as several projects in development. Among his many composing projects, Joseph recently collaborated with librettist Sheldon Harnick in a setting for chorus and orchestra of three fables by Jean de la Fontaine. The first two pieces, “The Lion In Love,” and “The Peacock Who Complained To Juno,” were recently recorded, featuring soloists Brian Stokes Mitchell, Howard McGillin, Rebecca Luker, Mary Testa, and Stanley Bahorek. Joe’s most recent work for the stage, The Thief, written in collaboration with legendary Russian composer Vladimir Shainskiy and Grammy-winning lyricist Lorraine Feather, premiered at the El Portal Theater in North Hollywood in 2007. He has been composer-in-residence at New York’s Riverside Shakespeare Company and the Manhattan Repertory Theatre, and in all has written incidental music for over thirty plays, including Richard III, As You Like It, The Tempest, Antigone, Anna Christie, and The Rainmaker. He began his career as a composer for musical theater in 1981, composing the score for one of Off-Broadway’s most infamous flops, An Evening With Joan Crawford. His other musicals include Fry Canyon Pop. 2 and The Evil Of Two Lessers. In 1996, Joseph Church received his doctorate in composition from New York University-Steinhardt. From 1996-1998 he was the co-director of the Musical Theater Program there, and was music director of the NYU Symphony orchestra in 2007. Since 1998, he has been an Adjunct Associate Professor and Resident Artist, teaching composition, music direction, and conducting.